Sweden-based multinational telecommunications company Ericsson is investing 7bn Swedish Krona (£682m) in the next five years to build three datacentre facilities to help the company provide cloud-powered services as well as to boost its research and development efforts. Two of the new datacentres will be built at Stockholm and Linköping in Sweden while the third one will be based in Montreal, Canada. The technology facilities will be designed and built in a modular and scalable way. A modular datacentre is different from a traditional datacentre in that it is a portable infrastructure which is designed for rapid deployment, energy efficiency and computing density. The combination of architecture, modular design and locations will reduce energy consumption up to 40%, the company estimates. This “significant reduction in carbon footprint is instrumental in Ericsson's vision of a more sustainable future,” said its CEO Hans Vestberg. The three datacentres combined will account for 120,000 square metres of IT space – equivalent to approximately 14 football fields. The IT facilities will house the company's complete portfolio, enabling the R&D organisation to develop and verify solutions, creating the foundation for the next generation technology and cloud-based services, according to the company. “Great ideas come from collaboration, and at these centres Ericsson will push the boundaries of possibility on next generation technology and services. Flexibility enabled by new ways of working will realise innovation faster to the market and to our customers, said Vestberg. The datacentres will be located close to Ericsson's main R&D hubs and will be the new platform for more than 24,000 global research engineers to collaborate efficiently. Ericsson's R&D expenditures for 2012 were£3b, about 14% of its total sales. Ericsson's customers will also be able to connect remotely for interoperability testing, trials and will have early access to innovation on new business services in real-time, Vestberg added. Among the two Swedish datacentres, one will begin initial operations from the end of 2013 and the second facility will go live by end of 2014. The North American centre will become operational in 2015. In addition to the three datacentres, the company is also investing in a hardware design building that will also provide energy savings and resource optimisation, Vestberg added. 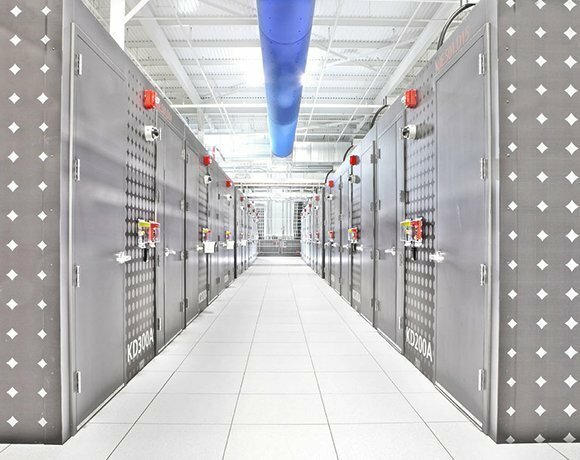 Other large enterprise customers that have adopted a modular datacentre approach include Goldman Sachs to help the firm improve the energy conservation and power usage effectiveness (PUE) associated with its datacentre facilities.